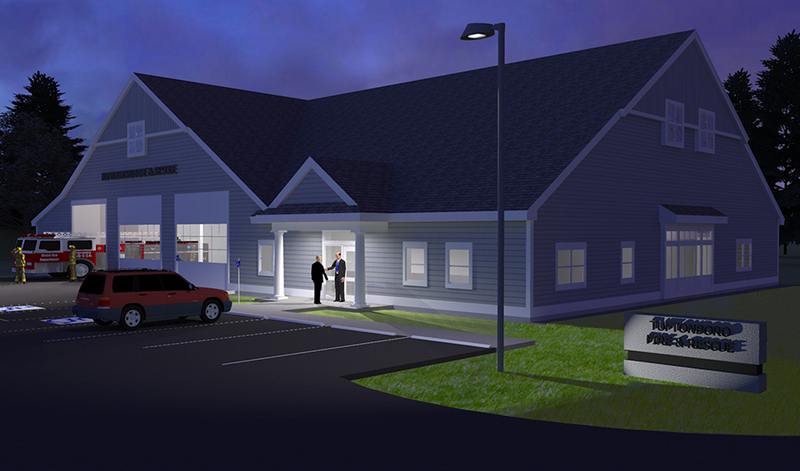 The initial scope for this project provided a feasibility study which included programming, schematic design, design development and cost estimating services for a new Police & Fire Safety Complex for the Town of Tuftonboro, NH. The facility was to be approximately 18,000 sf, and located on a parcel of land the Town currently owned. 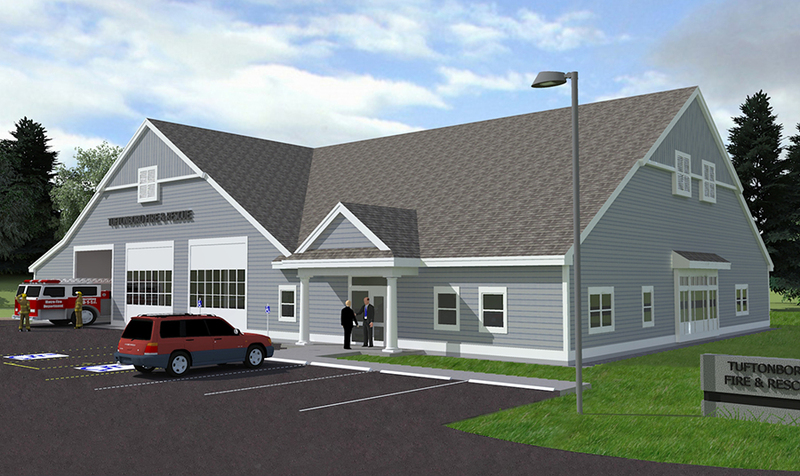 As a combination police and fire facility, the project did not pass the Town vote. There was a majority opinion in Town that the fire department had the greater need, and that the police station could wait several more years. In their second attempt, we were asked to design a fire station as Phase 1 of a future safety complex, with police following at a later date. That also did not pass as many in Town felt the Library should be next after the fire department project, and further that the police could renovate the old library for their use as a police station. We also did a schematic design and cost estimate for that possibility as well. The project ultimately designed was for a stand-alone 9,800 sf fire & rescue facility, with the police station happening at a later date (after the Library). Construction was completed in 2013.